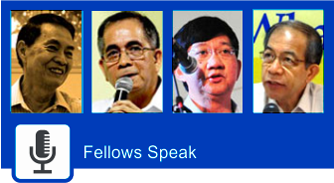 In order to fulfill its advocacy of grassroots democracy, CenPEG immerses its student volunteers in communities, so that they may help educate the people in key issues on governance, and at the same time get a feel of existing Philippine realities. 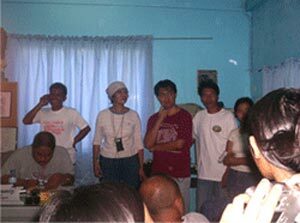 For the summer of 2006, the student volunteers were integrated with the Ati community in Montalban for three days. 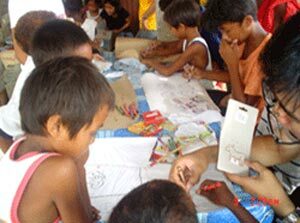 Before the community immersion, student volunteers from UP Manila are oriented on the VIP program and their tasks. 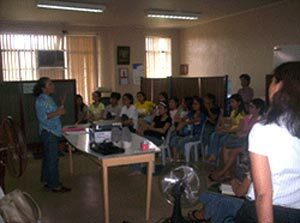 Prof. Lani Abad, a CenPEG Fellow, briefs the students from UP College of Mass Communication. 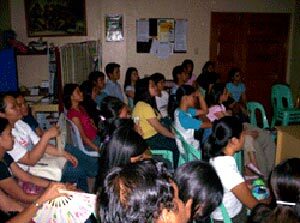 Aside from the community integration with the Atis of Montalban, some students furthered their knowledge of the situation of indigenous peoples by attending the 2006 Cordillera Day in Baguio. 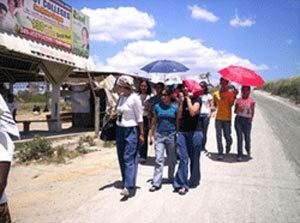 Student-volunteers together with CenPEG staff walk under the heat of the sun on their way to a courtesy call with village official. Barangay officials in the IP community together with CenPEG VIP volunteers. Art Iskul. 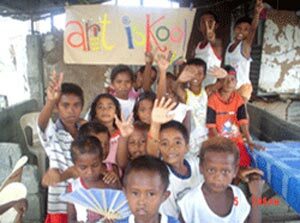 Ati children busy children themselves with drawing in the art classes that CenPEG's VIP student volunteers organized. A happy goodbye. Ati children are all smiles as they wave goodbye to the students who became part of their lives for three days.